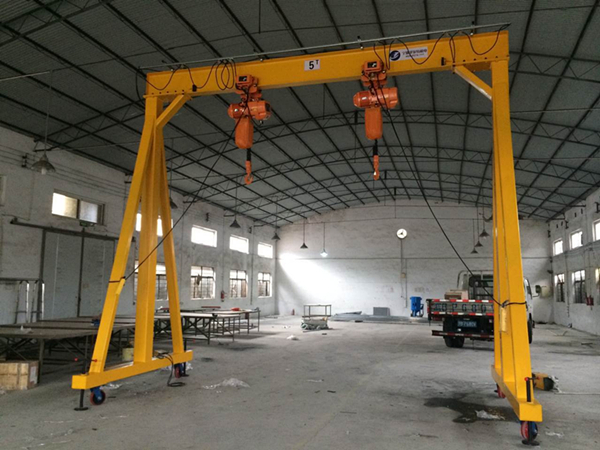 Compact gantry crane is a small scale gantry crane which has a simple structure, it is flexible assembly and transport, strong mobility, economic benefits and high safety performance. 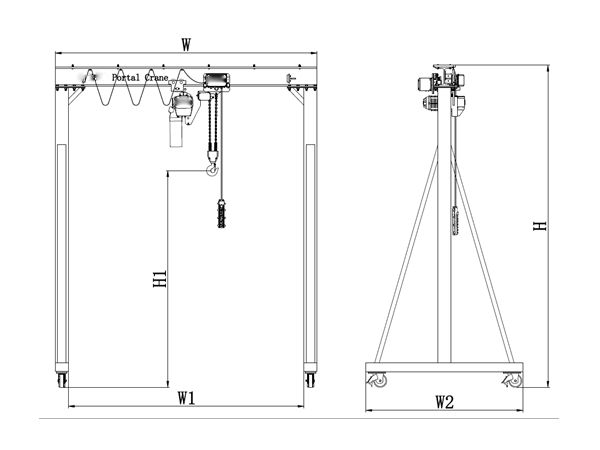 This kind of compact gantry crane can withstand the weight from 1000-5000kg. If the height of the plant is limited, you can choose ultra low headroom hoist for low altitude operation. Compact gantry crane could be used on flat ground, warehouse, logistics center, production workshop, laboratories, clean rooms, etc. 5. Ultra low headroom hoist can be installed in such gantry crane in the limited working space.